Help! I’m having technical trouble registering. Please contact info@partnersforyouth.org and we can help you complete your registration. Check out Upcoming Trainings to find a training in your area. I don’t see a date on the schedule that works for me. How can I learn about future dates? Sign up for our newsletter in the footer below to get updates, or contact us by phone or email. What should I bring to the training? The training is experiential so please wear comfortable clothes and footwear. All supplies will be provided for the training, but if you are local and have a special musical instrument you want to bring, please feel free. It might come in handy, and it’s definitely not a requirement. Just a reminder—no previous experience with the arts is needed for this training. Do I have to be present for the entire training? It is difficult to begin the training late. If you can’t attend the whole training, please contact us – info@partnersforyouth.org. Can I get a certificate after the training? Absolutely! We offer certificates of attendance for all of our trainings. After you have completed CF1, CF2, and Heart of Facilitation you can receive a Creative Empowerment Facilitation Certificate. Please contact us to receive a certificate for any training – info@partnersforyouth.org. Can I get professional development credit/clock hours/PDUs? In the US, you can to earn 500 level continuing education credits for completion of the Heart of Facilitation training. Oregon state educators can earn professional development units (PDUs) and Washington state educators can get clock hours for participation in HOF. Washington state educators can also get clock hours for Creative Facilitation 1 and 2. An additional application and fee may apply. 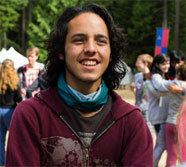 What trainings does Partners for Youth Empowerment offer? Our training path includes 3 levels of training plus ongoing learning opportunities and specially designed trainings for schools, organizations, and businesses. Where are your trainings offered? Partners for Youth Empowerment and our partners hold trainings in the UK, Canada, USA, India, Uganda, South Africa and more. If you do not see a Upcoming Training listed in your area, please feel free to contact us – info@partnersforyouth.org. We are open to working with you to bring Creative Facilitation to your community and/or organization. Can you help me coordinate lodging if I am traveling for a training? Participants are responsible for finding their own accommodations. Our trainings are for anyone who works with groups of youth or adults as well as for people who simply want to enhance their own creativity: youth workers, educators, artists, trainers, facilitators, business leaders, and the general public. The trainings are useful for anyone who wants to increase the impact of their programs for youth or adults. What makes Creative Facilitation unique? Our unique approach to facilitation provides a framework for using arts-based practices as facilitation tools. The trainings also use an experiential, creativity based methodology for developing your own skills as a facilitator—including self awareness, personal presence, and comfort standing in front of a group. You will learn strategies for engaging a full range of learning styles and bringing out the strengths of group members. I don’t work with youth, will I still find this training useful? Yes. The Creative Empowerment Model is useful in working with any age group as well as intergenerational groups. Do I need to be an artist to take your trainings? Absolutely not. The Creative Empowerment Model is based on the premise that you don’t need to be a professional artist—or have any arts experience—to use the arts in your work with groups. People with or without arts experience enjoy equal benefits from the trainings. If I already have experience with facilitation, should I skip Creative Facilitation 1? Absolutely not. Creative Facilitation 1 is unique training that introduces people to the cornerstone of our model–using the arts as facilitation tools. It’s unlike any training you’ve ever taken. CF1 provides the groundwork for using the arts as facilitation tools and at the same time develops your own confidence in your creativity. What’s the difference between Creative Facilitation 1 & 2? Creative Facilitation 1 (CF1) focuses on using the arts in facilitation and developing your own creative confidence. Creative Facilitation 2 develops key competencies and communication skills required to lead powerful learning programs.Both trainings are experiential and provide practical tool kits of activities you can apply straight away to working with youth and groups of all ages. Because CF1 introduces participants to the unique nature of the Creative Empowerment Model, it is required before taking CF2. I really want to go, but I need to convince my boss that the training is worth the time and money, any tips? Creative Facilitation has been externally evaluated. A recent evaluation of our work finds that the Creative Community Model offers a power foundation for designing and delivering quality youth programs. You can download a copy of the report here. The training is highly practical and experiential and will give you a manual that will help you to design and implement effective programs for youth. These skills can be applied right away. 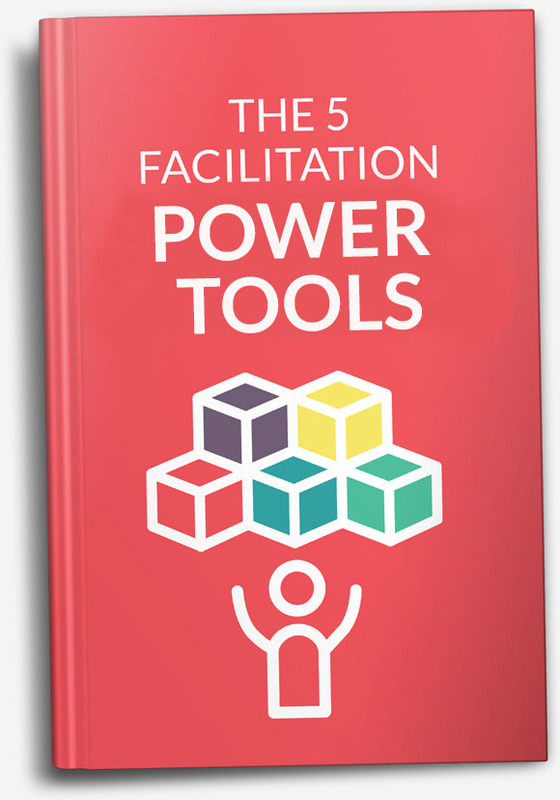 This is a unique training that goes to the heart of using facilitation to develop vital social and emotional skills in young people and increase your impact. Our alumni often tell us that this training provides a missing piece to their professional development. In return for the support you might want to offer to share the skills you’ve learned with other team members after the training. I have more questions, is there someone I can talk to?